Anthony Davis 2018: What are the Chances of the Five-Time All-Star Signing with the Lakers? The narrative surrounding Anthony Davis signing with the Los Angeles Lakers is still one of the most discussed subjects in the NBA sphere. And with the Lakers recently decimating the Golden State Warriors in the Dubs’ home court, the discussion has flared up once more. So how likely is it that Anthony Davis will play side by side with Lebron James? Right now, the narrative is moot. 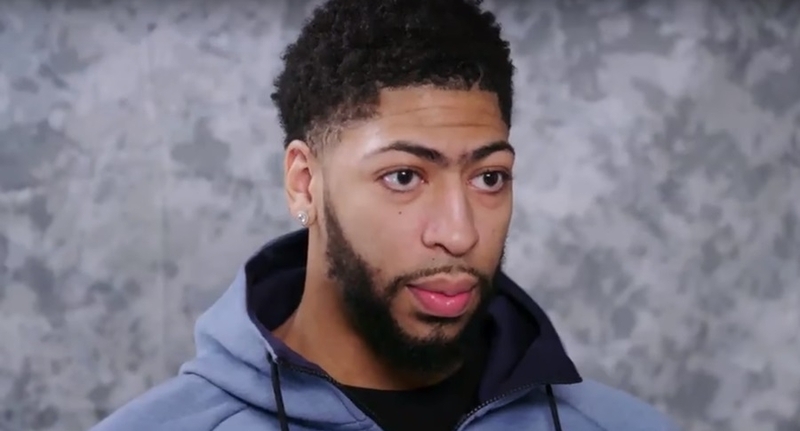 The 25-year-old superstar is still reticent about the subject and said that his job at the moment is to give the New Orleans Pelicans some much-needed wins. However, Anthony Davis is struggling to push the Pelicans into the top 10 spot as the team is currently ranked 14th in the Western Conference. This is largely due to the fact that the forward/center’s team doesn’t have the capacity to finish games. In their last 11 close matchups, nine games came remarkably close to favoring the Pelicans. But due to the pressure and the inability of the roster to make clutch shots, the Pelicans only managed to win two of those 11 games. That’s quite the blow to the morale of players, especially for someone like Anthony Davis who has said that he values his legacy far more than money. With him on the Lakers, however, he’ll be surrounded with teammates that don’t buckle under pressure. And that’s just the young guys. Lebron James and Rajon Rondo – who was his former teammate – can further bolster the Lakers’ strength that would undoubtedly push the team to new heights. There’s also the claims going around that Lebron James and Anthony Davis went out to dinner together to possibly talk things out about the possibility of the latter signing with the Lakers. And with the five-time NBA All-Star having the same agent as Lebron, this possibility could very well become a reality. So who can the Lakers include in an Anthony Davis trade deal that would convince the Pelicans to let go of their most valued asset? Kyle Kuzma, Brandon Ingram, and Lonzo Ball immediately spring to mind. However, all three players have proven themselves in their latest matchup with the Warriors and even Ivica Zubac managed to make quite the impression under the rim. So is the Lakers willing to give up their young core for Anthony Davis? Will the Pelicans even consider accepting quite the deal in the first place? That’s all up for debate at this point. But ultimately, it would come down to Davis’ decision whether or not he wants out of New Orleans. If the 25-year-old requested a trade deal out of the Pelicans, the organization will have no choice but to acquiesce. And with the team playing on a .429 PCT at the moment, then Anthony Davis will leave this franchise sooner or later if they don’t manage to turn their situation around.